Journey to the capital of the Czech Republic knowing that you’ll stay in a place that meets your needs; all that for a few weeks or half a year. Renting an apartment in Prague 6 is, thanks to Flatio, simple and fast. Rent without a deposit or unnecessary commissions. 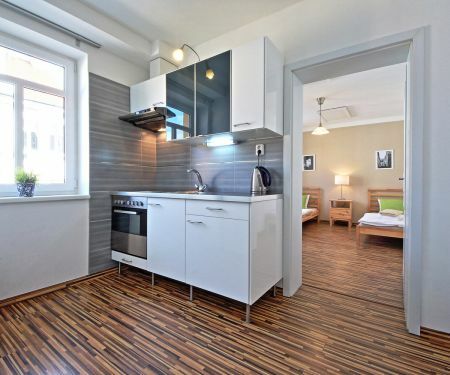 Where can you get a short-term or mid-term rental in Prague 6? On Flatio, you’ll find the ideal home for 14 days, a month or half a year. No deposit! Do you want to travel to Prague for work, study or it’s just another stop on your journey of a digital nomad? See the newest rentals on Flatio and never miss another great offer again. Choose a home that will suit all your needs. 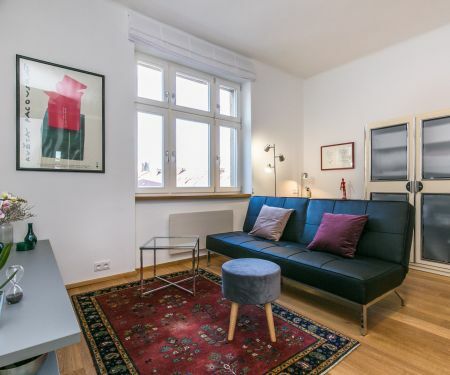 The choice of an apartment in Prague 6 is made easier for you by the inclusion of virtual tours and a rich variety of photos – look through them at your own pace and from anywhere in the world. No deposit or steep commissions. In 24 hours at the latest after the reservation request, you’ll know if the place is yours for the chosen period. Are you about to go to the capital of the Czech Republic? Are you looking for a good place to stay but you don’t want to pay for expensive hotels or boarding houses, and dorms are way too noisy for you? Get the homely environment that Flatio provides. 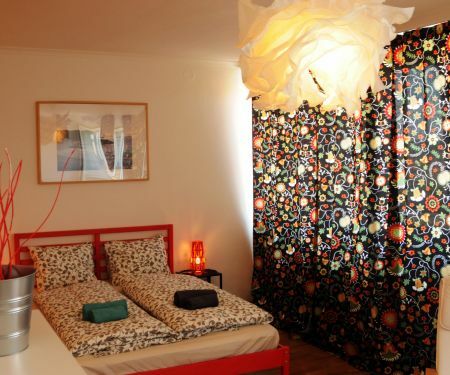 On our web, you get the best rentals in Prague 6 that will suit your needs with its equipment and location. Both the centre and the Vaclav Havel Airport will be just a few kilometres away – depending on where in Prague 6 you’ll be staying. On land covering 41.54 km² there are, according to data from 2017, exactly 104 356 inhabi­tants. Are you planning to be one of them for 2 weeks, a month or even the whole year? Turn to the Flatio team and get the ideal rental in Prague 6. Do you want to live in the best apartments in Prague 6? Follow the top-rated rentals on Flatio and base your rental choice on real-life experiences of previous users. You won’t be surprised by noisy neighbours or slow WiFi on Friday evening ever again. Thanks to the ratings, you’ll know what you’re getting into. rentable for 14 days, a month or even half a year. Simply pick a rental in Prague 6 on Flatio, request its reservation and within max. 24 hours you’ll know if it all went well. Are you looking for an apartment in Prague 6 for 2 weeks, 1 month or half a year? The selection of hotels and boarding houses in Czechia’s capital is wide, but the payments are often steep. If you want to stay in a home-like environment and you want to save money, choose our team. With Flatio you can pick the ideal short-term or mid-term rental in Prague 6 without an estate agency, a deposit or commissions for an estate agent. Here we can do without that! Fully equipped apartments which have all necessary furniture and appliances. Quick handling of the reservation request for the chosen home – in max. 24 hours you’ll know if the rental is yours. Don’t waste your hard-earned money on estate agent commissions, go with Flatio. You’ll only pay 19€ for a reservation of the chosen home and a service fee, which we’ll calculate based on the length of your stay in Prague. There’s nothing else you need to pay and you can invest the saved money into your stay in Czechia. Are you afraid that every rental has a deposit which you don’t want to pay? On Flatio, we do without it. Stay for a few weeks or months in Prague 6 without dealing with problems that don’t exist with us.